The result of a two and half year engineering effort, Oracle Application Express 5.0 represents the greatest advancement of Oracle Application Express in its 10-year history. Oracle Application Express 5.0 enables customers to develop, design and deploy beautiful, responsive, database-driven desktop and mobile applications using only a browser. Now that APEX 5.0 is finally available, it’s time to spread the word and to get everyone up to speed on what’s new in 5.0, how to make best use of the beautiful, new Universal Theme and how to get the most out of the incredibly powerful new Page Designer. Are you ready to give your apps a fresh new look & feel? APEX 5.0 will bring you the Universal Theme and Template Options – a modern, responsive HTML5 theme that takes the guesswork out of choosing the right HTML templates and CSS classes. Thanks to easy-to-use declarative template options, you no longer have to be a HTML/CSS guru in order to create modern and beautiful web applications. The New York Oracle User Group Summer Meeting takes place on June 5th at St. John's University, right next to the World Trade Center in Downtown Manhattan. 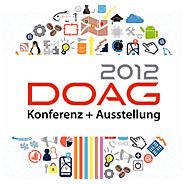 This looks like it’s going to be a very interesting meeting for Oracle DBAs and Oracle Developers. There are two session scheduled covering the Oracle Database 12c and also two APEX sessions. There’s going to be a session on building mobile apps with APEX, which looks to be very hands-on. And I’ll be showing how to build custom PDF reports with APEX. I’ll walk you step by step through creating the report in APEX, downloading the XML, creating a report layout with tools like Stylevision, loading the layout back into APEX and associating the layout with your report. If you have a laptop running APEX 4.2.2 and the APEX Listener 2.0.2, you’re welcome to bring it and follow along – you will need at least a trial version of either Altova Stylevision or Stylus Studio. I’ll be presenting Oracle Application Express as part of the Oracle Database Cloud Service at the Cloud World events in London and Munich next month. At Oracle Cloud World you’ll hear from Oracle executives, thought leaders, customers, and partners as they share ideas on how to transform business and stay ahead of your competition through technologies like cloud, social, and mobile. Developing applications to run on the world's leading database? Why not do it in the cloud? See the process for signing up for and provisioning Oracle Database Cloud Services, loading data, developing applications with Oracle Application Express, and creating RESTful Web services. This end-to-end presentation introduces the major components of Oracle Database Cloud Services and explores its use. One of our focus areas in this release of course has been Mobile. And while we’re still actively developing many of the new features in APEX 4.2, you’ll find that you can already build pretty nice looking and usable mobile applications. I list all the sessions with a simple search box and you can also drill down by presenter, or day. And if you feel like letting us know that you’ll be attending some of these sessions, feel free to leave you name and email for your session(s) of choice. While I did state that we were looking to lift this 32k limit, this has not yet made it in, i.e. the limit is still in place. However in my posting I was also saying that if the XML data is generated by some other way, and the PDF rendering is done using the print API, then the use of larger images would be possible. And that is certainly the case, so let's take a look at how this could be done. The key piece is our Print API (apex_util.download_print_document and apex_util.get_print_document), with this API you can generate PDF and other documents through a simple PL/SQL API call. This API is taking care of all the communication with BI Publisher or FOP for you. The apex_util.get_print_document API can be called to generate and retrieve the print document as a BLOB in the database for further processing, like storing the document in tables, etc. The apex_util.download_print_document API can be called in an APEX page process to generate and download the print document straight to your client. Both APIs have three different signatures, they allow for programmatically downloading report queries while dynamically associating stored report layouts at runtime, downloading report queries with custom templates stored in your own tables, and generating PDF based on your own custom XML using your own custom templates. -- This procedure initiates the download of a print document using XML based report data and RTF or XSL-FO based report layout. --   p_report_layout_type:  Defines the report layout type, that is "xsl-fo" or "rtf"
--   p_document_format:     Defines the document format, that is "pdf", "rtf", "xls", "htm", or "xml"
APEX typically takes care of this for you, in our scenario though, you generate the XML yourself, so you need to encode the base64 data on your own. I have taken care of this in blob2clobase64 function that ships with my sample app. This will generate a file called image_demo, and based on whether you choose to generate Word or PDF, you'll get ‘.rtf' or ‘.pdf' file back. Please note, this app requires BI Publisher to be configured as your print server, and the current release of APEX 4.1.1 (my sample is an APEX 4.1.1 export, but you should be able to use the same technique on APEX 4.0 and above). Then just re-run your pages, and you'll be up and running using the shiny, new final release of jQuery Mobile 1.0! You'll get a home page showing recent messages, along with the title, author and create date and time. When you click on a message, you'll get to a read-only view of the message details. When you click on the create button on the home page, you can enter a new message, with your name, email and message title. Give it a try, leave me some feedback and comments, and if you like the app, it's available for download as well. It comes with the underlying database objects bundled in as supporting objects, i.e. they're created when you install the application. For the most part, this is a standard APEX application, nothing too fancy or out of the ordinary. The only relevant templates are those containing "mobile" in their names. The home page was built as a standard classic report page, using a customized named-column report template. The form page is a standard APEX form, which is omitting the form table-grid using the corresponding region template attribute and using the new label template field container attributes. The buttons use simple anchor tags, and illustrate how you can have different button colors, using the new "hot" attribute for buttons. And for the back button, I used a jQuery Mobile button icon, which can be easily included using the HTML data- attributes, data-icon in this case. So try out the application, and leave your comments in the message board. I'll follow up with additional details on some of the more advanced concepts in upcoming posts.